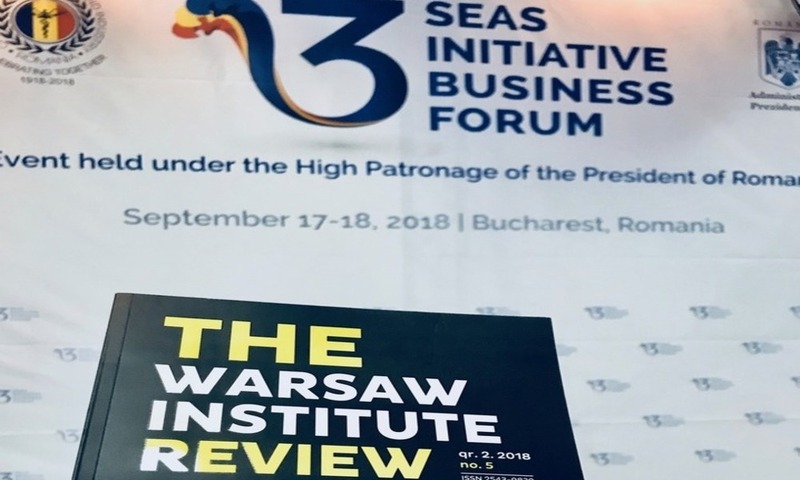 The Three Seas Initiative consisted of a series of discussions and meetings attended by top European and world politicians, experts, analysts, and businessmen. The participants discussed such issues as challenges faced by twelve countries of Central and Eastern Europe, further development possibilities, and common economic potential of the region. 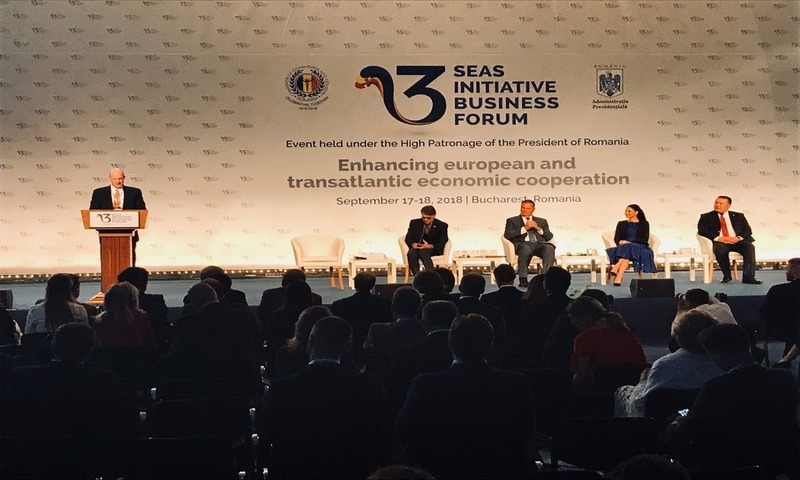 The event was officially inaugurated by the President of Romania, Klaus Iohannis, and the President of the Chamber of Commerce and Industry of Romania (CCIR), Mihai Daraban; both officials emphasized the region’s increasing potential in the area of ​​expanding infrastructure and energy projects as well as they highlighted the need to strive for joint investments. Moreover, they argued for the desire to strengthen relations between the Central and Eastern Europe countries, which should be considered as top priority for the Three Seas states to promote further integration in key domains of economic development. 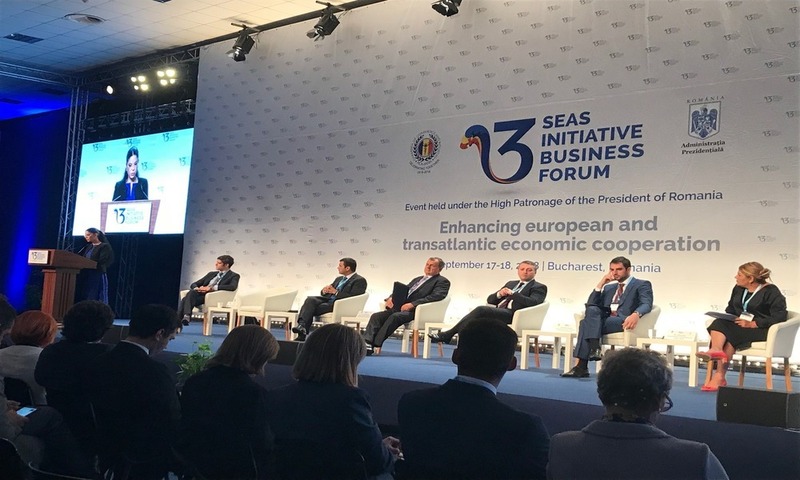 The first plenary debate on the role of the Three Seas Initiative in international politics was held with the participation of the Commissioner for Regional Policy as well as the presidents of Romania, Croatia, Austria, and Poland. Commissioner Corina Creţu spoke about the positive impact of the initiative on further development of regional cooperation in Europe as well as increased unity and potential between the member states. The European Commission has recently reassured that it would provide any necessary support for the twelve Central European countries that seek to implement common projects in such domains as infrastructure, transport and energy. Moreover, the Commission approves the region’s further development and promotes active participation of the aforementioned countries in the European Union. 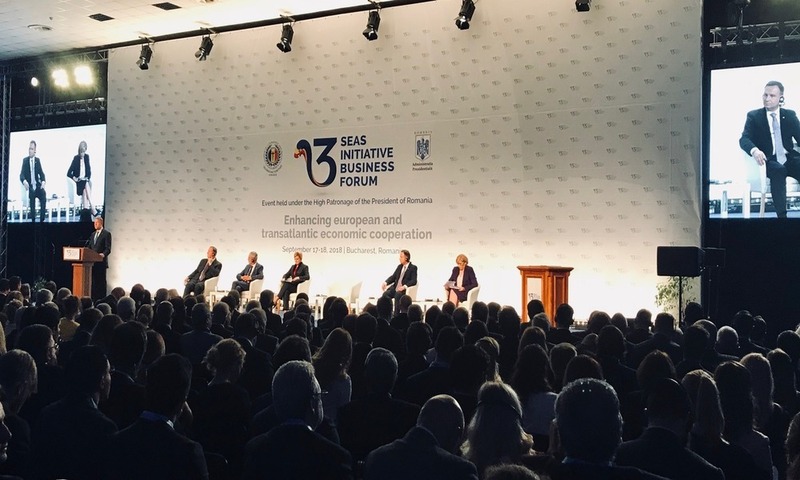 During the summit, President of Croatia, Kolinda Grabar-Kitarovic, outlined the pillars of cooperation between the Three Seas countries that draw attention to the need to set up economic cohesion of Central Europe with the rest of Europe, expand transatlantic relations with the United States and provide active support in the political stability advancement. Moreover, she urged for the necessity to tighten business cooperation between the states as it would constitute the driving force of the initiative. President of Poland, Andrzej Duda, assessed that Central Europe should be perceived in terms of an integrated, secure and developed part of the world; in addition, he pointed out that all countries had to try their utmost to work together on such strategic projects as the North-South gas corridor that connect the Polish LNG terminal, located in the city of Swinoujscie, with the planned Adria terminal on the Croatian island of Krk. In his turn, Austria’s President, Alexander van der Bellen, claimed that the Three Seas countries declared their strong attachment to the European Union as well as he emphasized support for new technologies. He pointed out that the countries of Central Europe were eager to actively participate in both NATO and EU structures, as, in their opinion, these institutions could permit them to fully express their identity. During the inauguration, it was possible to sign two important documents: an agreement on a network of chambers of commerce and a business council as well as a letter of intent to set up an Initiative Fund that would provide financial support to key investments in Central and Eastern Europe. The second day of the event was essentially devoted to discussion sessions with the participation of politicians, experts as well as representatives of both think-tanks and business world. The debates concerned three main themes: transport, energy issues as well as digitization within the Three Seas countries. In addition, the renowned guests discussed the methods of strengthening the region’s attractiveness as well as the initiative’s further expansion also to the area of the Western Balkans. They also highlighted the importance of infrastructure development between countries, the need for regional solidarity and the participation of the twelve countries in large international organizations, such as NATO and the EU. It was also possible to mention such issues as transatlantic relations as well as the constant demand to make U.S.-Central European partnership flourish. It was argued that the Three Seas countries shared common goals – such as construction the network of connections between the Adriatic, the Baltic and the Black Sea and including the United States in the project, mostly due to the fact that the American ally has noticed the economic potential of the Initiative.